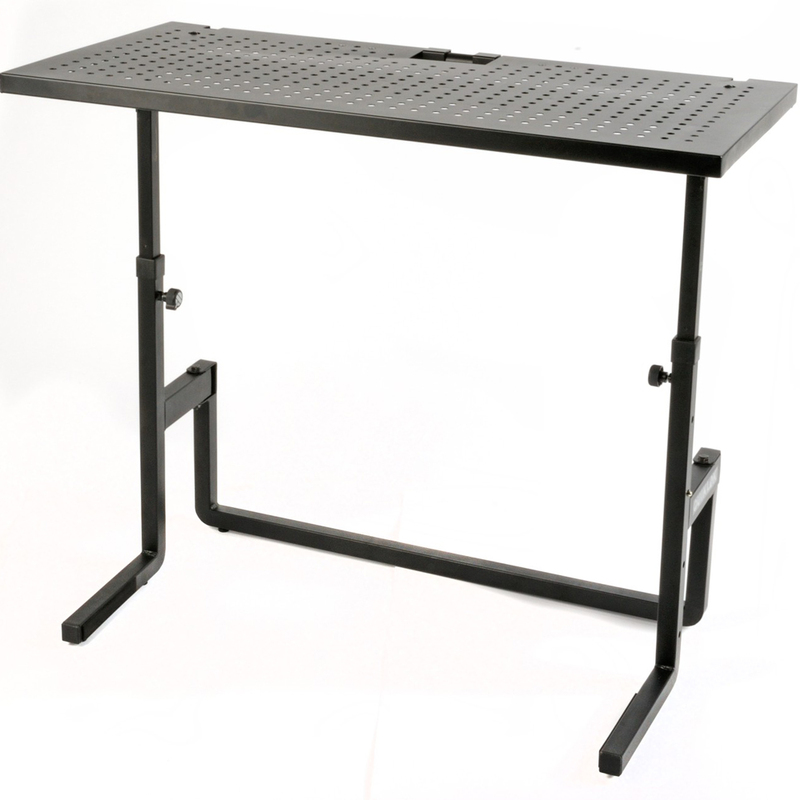 Quik-Lok introduces the DJ233 performance Workstation Structure, a perfect blend of form, functionality and lightweight portability, designed to fit the needs of today's DJs and musicians on the road. Ideal solution for most DJ setups, the DJ233 will accommodate complete DJ systems, DJ controllers, USB/CD Media players, DJ mixers, turntables and all sorts of DJ equipment. Extremely versatile stand, it also proves very useful for countless other applications. Great for holding DJ coffins, CD rack systems, CD/Record cases and rack cases, the DJ233 is also perfect for drum machines, small size live mixers, and will hold the heaviest of keyboards safely and securely. Solid steel construction provides maximum sturdiness and ensures excellent structural support. The top shelf is made of perforated sheet metal to ensure optimum ventilation to your gear, and features reinforced steel bracing for added strength. 4 different height adjustment positions are easily achievable by simply adjusting the locking telescopic side legs. Form and function are combined in a stand that literally folds flat in seconds to a compact transportable size. Simply turn the top shelf around, swing legs back against it, and the stand folds down flat instantly, ready to be stored or carried away using its own built-in handle. Easily expandable by adding the optional LPH/T laptop holder or the IPS/16 universal tablet holder. Ideal solution for most DJ setups, the DJ233 will accommodate complete DJ systems, DJ controllers, USB/CD Media players, DJ mixers, turntables and all sorts of DJ equipment. Extremely versatile stand, it also proves very useful for countless other applications. 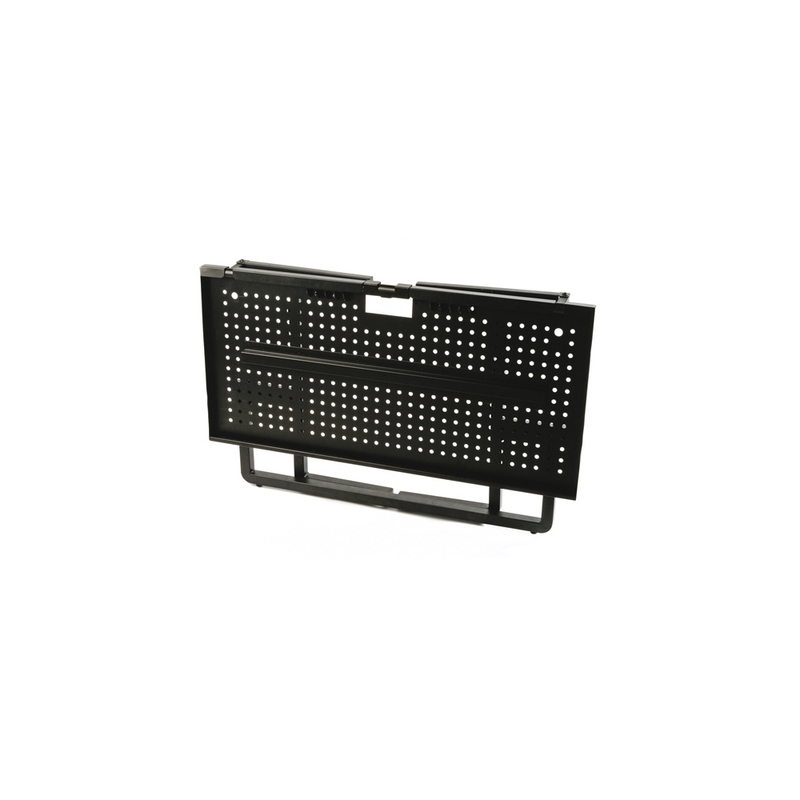 Great for holding DJ coffins, CD rack systems, CD/Record cases and rack cases, the DJ233 is also perfect for drum machines, small size live mixers, and will hold the heaviest of keyboards safely and securely. Solid steel construction provides maximum sturdiness and ensures excellent structural support. The top shelf is made of perforated sheet metal to ensure optimum ventilation to your gear, and features reinforced steel bracing for added strength. 4 different height adjustment positions are easily achievable by simply adjusting the locking telescopic side legs. Form and function are combined in a stand that literally folds flat in seconds to a compact transportable size. Simply turn the top shelf around, swing legs back against it, and the stand folds down flat instantly, ready to be stored or carried away using its own built-in handle.